Adding quality audio to an electronic project is surprisingly difficult. 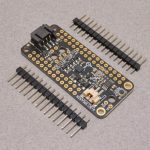 This Arduino shield solves the problem. 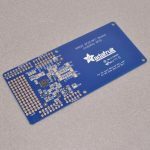 It’s low cost, available as an easy-to-make kit, and it can play up to 22KHz 12bit uncompressed audio files of any length. The board also has an onboard DAC, filter and op-amp for high quality output. 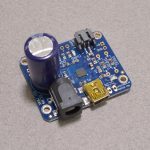 Volume can be controlled with the onboard thumbwheel potentiometer. 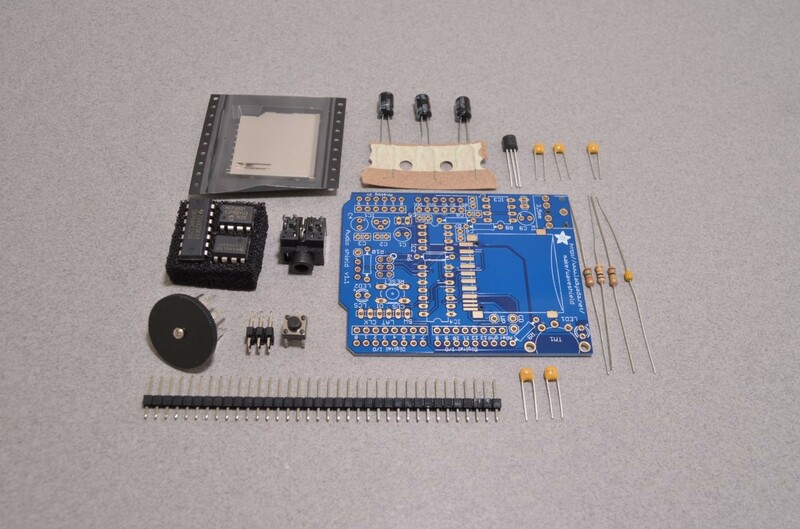 Adafruit has built an Arduino library to make this as easy to use as possible. Simply drag uncompressed wave files onto the SD card and plug it in. Then use the library to play audio when buttons are pressed, or when a sensor goes off, or when serial data is received, etc. 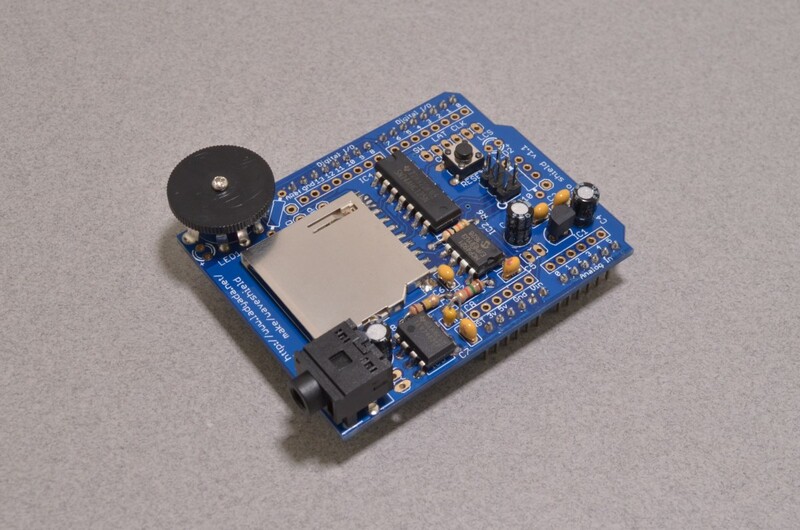 Audio is played asynchronously as an interrupt, so the Arduino can perform tasks while the audio is playing. 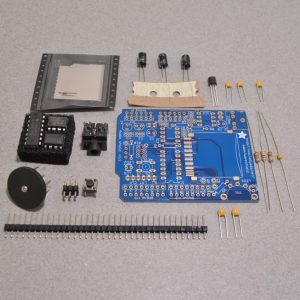 This shield ships as a kit and includes all of the parts you need to build it. 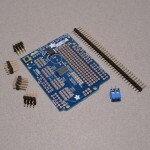 An Arduino is not included, but is required to use this board. 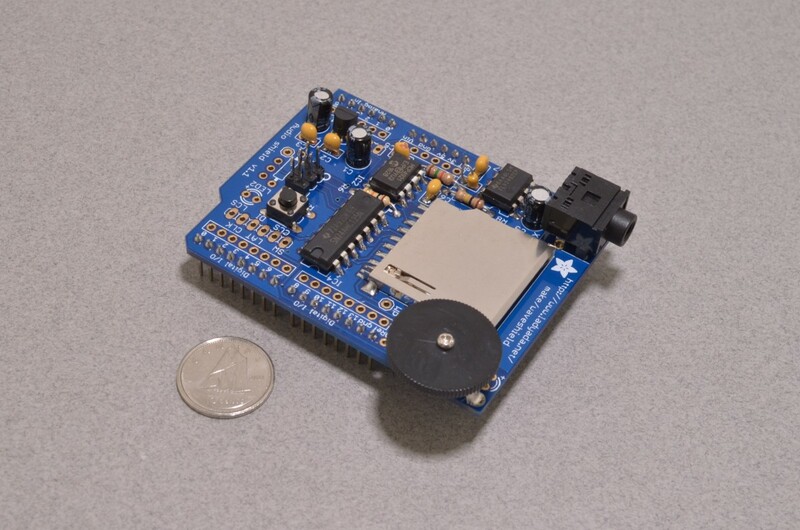 The shield works best with an Arduino Uno, Adafruit Metro, or SparkFun RedBoard but will not work with the Leonardo or Mega. SKU: ADA-007. Categories: Shields, Audio Boards. Tags: Adafruit, Arduino, Audio, Kit, Light Packet, Shield.